A friend complained to me the other day about a terrible presentation that she had seen recently. What was extraordinary about the presentation was its ordinariness - a long series of bullet-pointed powerpoint slides that went on endlessly. In addition, the main points were at the end, long after my friend had given up and left the meeting. 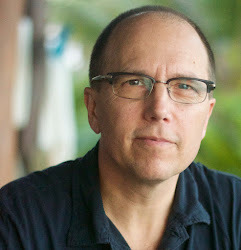 Some months ago, Mari pointed me to a great site called Presentation Zen. This is now one of my favorites sites on the web. This site (really a blog) is compiled by Garr Reynolds, who used to be at Apple and currently is at Kansai Gaidai University where he teaches Marketing and Multimedia Presentation Design. The site is basically a compilation and analysis of superb presentations that Garr has seen (along with a few terrible ones). 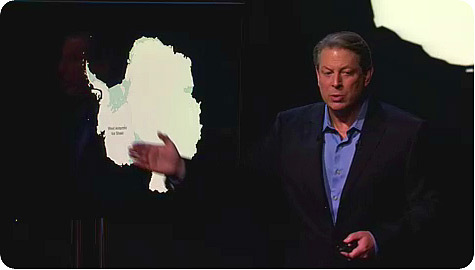 Some presentations use only images, such as this one by Al Gore. I have seen this one in person and can vouch for how powerful it is. I also like the "Takahashi Method", which basically consists of putting one word, letter or symbol - in giant type - on each slide. I tried this about six months ago, and it had a big effect on the audience. If you make presentations and are interested in getting your message out and across more effectively, check this site out.